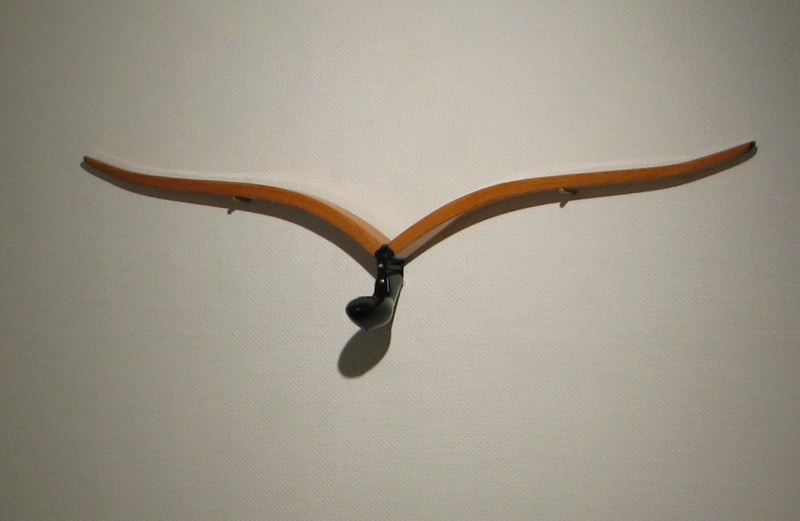 In Andreas' first wall installation, wood wings are propelled into downward strokes. Referencing the form and movement of a large, powerful bird. The sculptures are triggered into motion by loss of water through evaporation or by a slow drip. Multiple pieces can be installed to build a large flock. Drops of water landing among a quiet, serene environment creates an echo . Both scenarios symbolize conditions fueling need for conservation.